Want to live in Spain, enjoy a laid-back lifestyle and eat tonnes of tapas? Then teaching English could be just the way to achieve that dream. Andrew and I moved to Spain at the beginning of 2016 to look for teaching jobs in Madrid and ended up working in English immersion camps. This is our ultimate guide about how to teach English in Spain, including information about what qualifications you’ll need, where you can teach, what type of work is available and how much money you can earn from teaching in Spain. 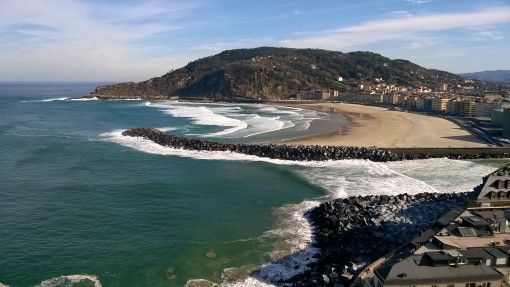 San Sebastian, Spain. Would you like to live here? 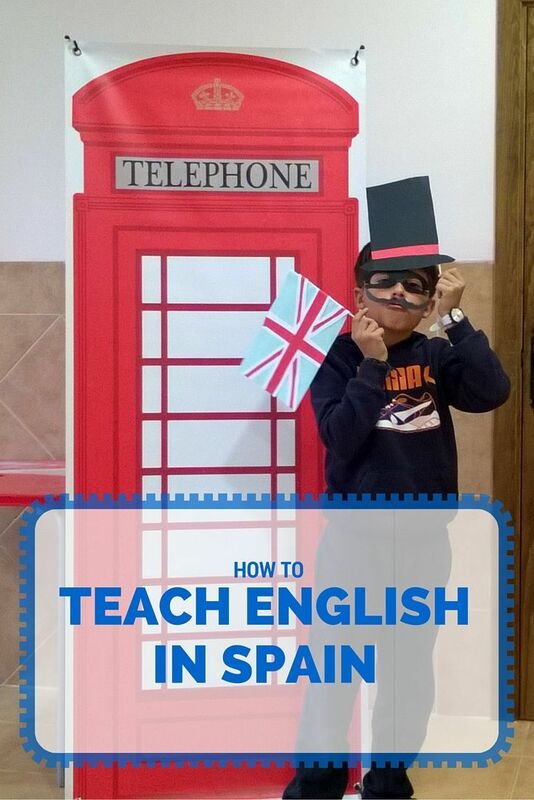 Can you Teach English in Spain? If you’re also considering teaching options in other parts of the world, you can read our articles about teaching abroad here. You’ll find information about TEFL courses and teaching resources, how to choose which country to teach in and what it’s like to teach in Asia. 1. Auxiliares de Conversación – this is managed by the Spanish Ministry of Education. Pay rates start at €700 a month for 12 hours work a week and go up to €1,000 for 16 hours a week. You can view the eligibility criteria and apply for the Auxiliares de Conversación programme here. 2. Bilingual English Development and Assessment Program (BEDA) – places language assistants in Catholic schools located mainly in Madrid. Pay rates range from €900 a month for 18 hours a week and €1,200 for 24 hours a week. View the entry requirements and apply to work for BEDA here. 3. Unión Cooperativa de Enseñanza de Trabajo Asociado de Madrid (UCETAM) – employs native English speakers for bilingual programmes in Spanish schools in Madrid. You can work 17 hours a week for around €800 a month and 25 hours a week for about €1,500 a month. Check out how to apply for the UCETAM scheme here. 4. 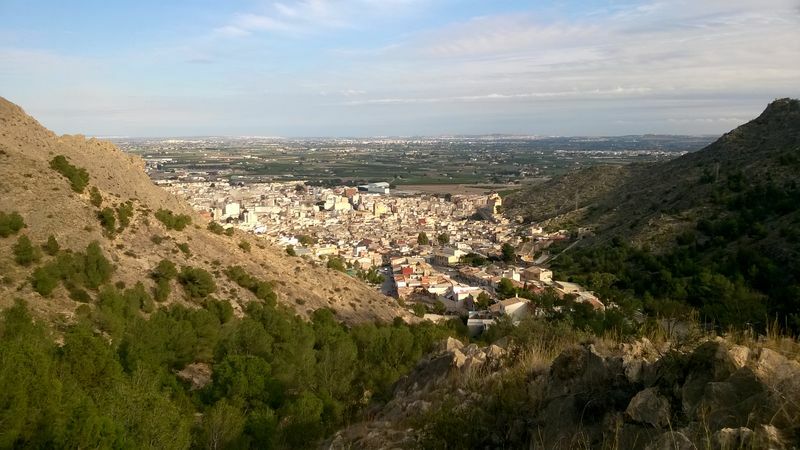 CIIE – places language and culture assistants in Andalusia. Pay starts at €700 a month and you can find out more or apply for the CIIE program here. 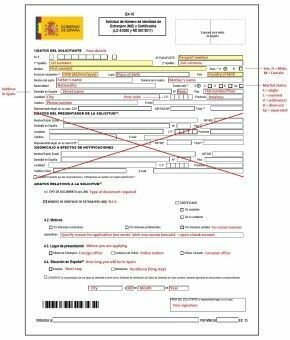 • Apply for a NIE (Foreigner Registration Number) when you arrive in Spain; find out how to get a NIE here. • Get a social security number by visiting your local social security office with your passport, NIE and a filled-out TA-1 application form. • We also had to get a Spanish criminal record check done to work with children under 18. This is called an Antecedentes Penales and in Madrid we went to the office at Calle la Bolsa 8 (near Sol metro station) with our passports and a Modelo 790 form to apply for one. Note: the UK will hold a referendum in June on whether to remain in the EU; if they vote to leave no-one knows yet how this will affect British teachers or expats living in EU countries. What Qualifications do you need to Teach in Spain? These are the most prestigious programs and the best Spanish schools only hire teachers who have completed these courses. Both the Cambridge CELTA and Trinity TESOL cost around £1,000 to take and include over 100 hours of training and teaching practice. If you can’t afford this, you can also take an online or practical TEFL course of at least 120 hours to boost your employment options. 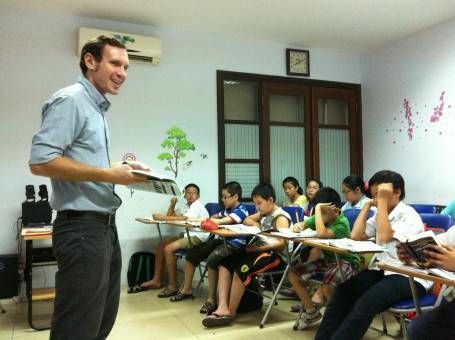 Our experience: Andrew is a qualified teacher in the UK with a 150-hour TEFL certificate and experience teaching English in Vietnam. 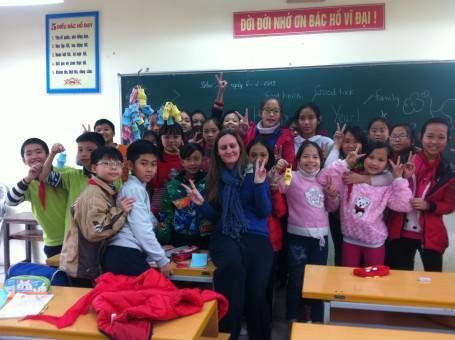 I have a Master’s degree, 150 hours of TEFL training and experience teaching in Vietnam. We were both offered numerous jobs and interviews for jobs in Madrid. 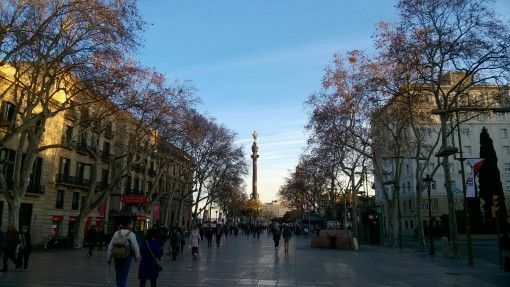 It’s possible to find a teaching job anywhere in Spain, but most opportunities can be found in Madrid and Barcelona, followed by large cities like Seville, Zaragoza and Granada. 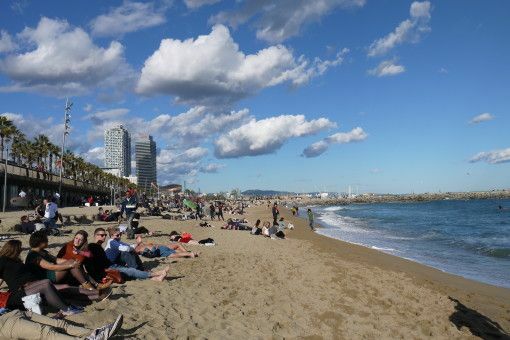 You may get paid slightly more to teach in cities than you would in rural communities or coastal locations like Malaga, which are popular with expats. However, remember that your living costs will probably be higher in cities, especially Barcelona and Madrid. Most teaching jobs in Spain are advertised in May through to August in preparation for the new school year in September, but vacancies also come up after Christmas. However, it is possible to find work all year round in Spain if you’re persistent and not too picky about your hours. Andrew and I started applying for teaching work in Madrid in February and still had lots of offers, however these were often sporadic classes teaching adults (we prefer working with children) for a lower rate of pay than we expected. Some companies told us to apply again in the summer; I think you can get the best choice of jobs if you start applying in May onwards. There are a lot of private international schools in Spain which cater to the thousands of expats who live in the country. These schools follow different national curriculums depending on where their students are from and tend to only hire experienced teachers who have teaching qualifications from their home country. Pay rates: depending on the school, you could earn a salary comparable to what you’d earn as a teacher in your home country. There are literally thousands of private English language centres and institutes across Spain of varying sizes and calibres. Most language centre classes will be in the evenings, from around 6pm until 9/10pm, to fit in around students’ school or work schedules. In Madrid, we also came across many centres specialising in teaching adults business English; these classes often took place during the daytime. Pay rates: anything from €8 to €20 per hour and can depend on your qualifications and experience. Teaching private English classes is very popular in Spain. Students are easy to find, especially in big cities like Madrid and you can set your own rate, work as much as you like and hold classes in cafes or even your own home (although I wouldn’t recommend this, especially for female teachers). Pay rates: between €15 and €20 per hour. Teaching work can completely dry up in the summer, so many teachers work in summer camps throughout Spain to tide them over until the start of the next school year. We found work in English immersion camps during May and June with Nexolang; our camps focus on sport, art and fun activities rather than formal teaching. Pay rates: are often set per day and can include food and lodging. For example, we’re earning €80 each per day to work in English immersion camps and all our food, accommodation and transport costs are covered by our company. After putting up an online advert, I was contacted by a few parents in Madrid who wanted a native speaker to look after their children for a couple of hours a day to help improve their English. These jobs are simple but typically low paid but can be good to earn a bit of extra cash-in-hand income. 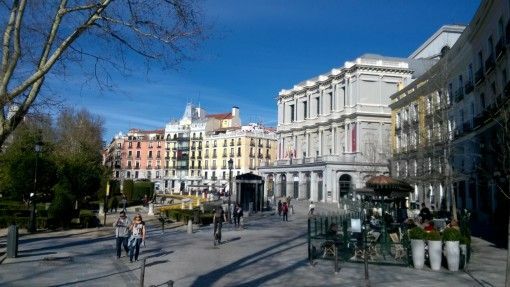 Pay rates: between €8 and €12 per hour; I was offered €8 per hour to look after one child in Madrid. 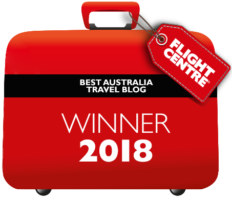 We spent hours researching language centres, schools and applying for jobs when we arrived in Spain, here are the best resources we found to help you with your job search. If you have a CELTA, Trinity TESOL, PGCE and plenty of teaching experience, in addition to the above sites you can also check the TES and British Council websites for more specialised teaching jobs in Spain and jobs at international schools. • Vaughan Systems – we had a Skype interview and were offered places on a two-week training course with them. We declined their offer because the work was with adults and you had to follow a rigid teaching style. They did however offer to pay us €19 per hour. • Hyland – I was really interested in Hyland as they have a great reputation and offer positions teaching young children. My application was declined because they only accept teachers with a Cambridge CELTA or Trinity TESOL qualification. • Talking Point – have positions teaching English to adults. We both applied and were offered interviews over a month later, which we declined as we’d already found work with Nexolang. • American Language Academy – Andrew was offered a position with this company which he declined as he had higher-paid offers. 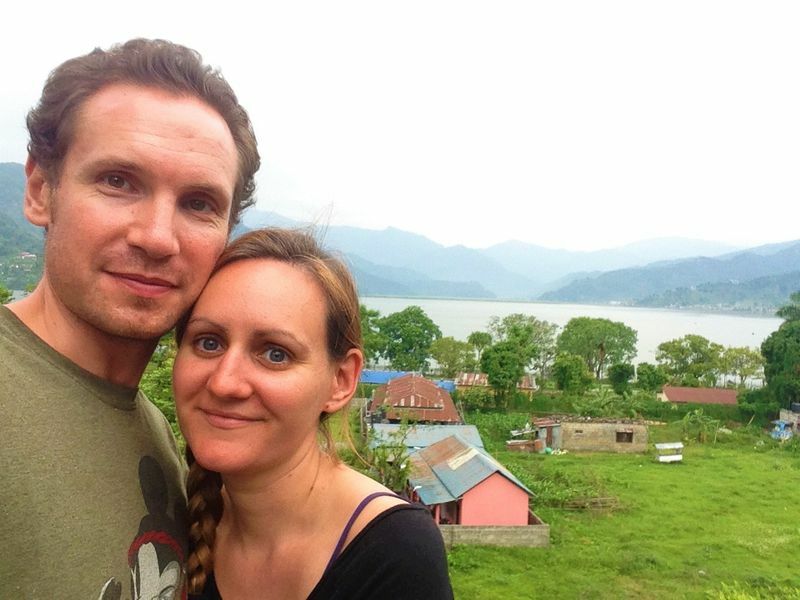 He was offered €1,200 a month for teaching adults business English for 25 hours a week. • Inter-Com – Andrew accepted a job with Inter-Com teaching English to adults and children for €1,000 a month for 15 hours of work per week. Unfortunately he had to pull out of this job because we couldn’t find an affordable short-term apartment rental in Madrid. • Thamesis – offered me one class a week teaching adult English for €14.50 an hour which I turned down. • Krauss – teach adult English classes, we were both offered interviews which we declined as the pay rate was just €12 an hour. • LingoBongo – this site is specifically for jobs in Madrid and Barcelona; it has job listings and a section where you can upload your own advert. • Tus Clases Particulares – you can set up a profile on this site to offer private classes anywhere in Spain, specifying your own hourly rate. • Forenex – this chain of camps has a great reputation; we applied but were told there weren’t enough students this summer for them to hire us. • Enforex – another big chain of summer camps that operates all over Spain. • Nexolang – this company run English immersion camps in Toledo and Guadalajara, just outside of Madrid. We accepted work with Nexolang at a rate of €80 per day. If you choose to work for a school or language centre in Spain they will sort out your social security and tax payments for you, as well as helping with your NIE application. If, however, you choose to work freelance (autónomo), picking up extra classes from language schools and teaching privately, you need to register with the tax office and social security. Normally freelances in Spain pay a flat rate of €250 in tax per month, but there are discounts available when you start out if you’re under 30. Think carefully about whether you want the hassle of working autónomo in Spain, this article explains more about how freelancing in Spain works. Do you have any questions or advice to share about teaching English in Spain? Let us know in the comment section below. You have gathered a lot of very good information. The summer English immersion camps are quite well paid in particular since you also get food and accomodation. No worries Kristen, not long to go for you now! Sharing it on Twitter & Google as usual!